Launching this year in 2017, Bosch will be releasing more of their Wi-Fi connected appliances in the US for the first time. These include Wi-Fi enabled appliances such as a fridge freezer, wall over, dishwasher as well as a washing machine and dryer. 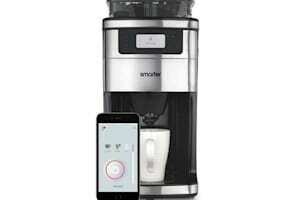 At the end of 2016 Bosch had released the first of their Wi-Fi enabled appliances with a coffee machine being sold for $3,100. Prices for the rest of their appliances will be announced later this year, although you can expect their price point to be incredibly high, just like with the coffee machine. The Wi-Fi enabling works through the Bosch Home Connect app which is available on both Android and iOS. This will enable you to control all the appliances and turn them on, off and anything in between. One of the great things about the Bosch Home Connect system is that it works with more than just Bosch products. Many other smart home apps and technologies have bee released over the past few years, however unfortunately they have all had the same shortcoming in that they only worked with their own brand. Bosch has agreed to play nice with Samsung, LG and Whirlpool as well as the other big players. Another interesting use for the dishwasher that will be released is that it work with the Amazon Dash Replenishment Services which, if you use the Home connect app, will work out how many tabs you have used and how many you have left, and automatically order the dishwasher tabs before you completely run out. Amazing.